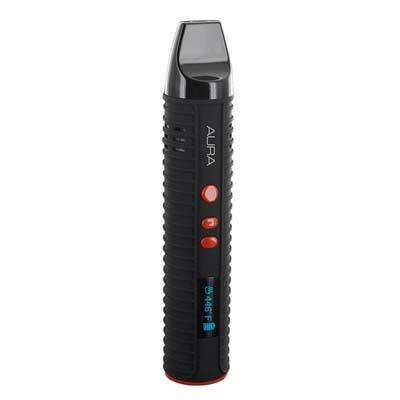 Portable pen vaporizers for dry herbs and concentrates are used very often due to their compact size, efficiency and versatility. The numerous advantages that these vaporizers have in addition to their low price make these devices more and more popular – and for a good reason. 1 What is a Pen Vaporizer? What is a Pen Vaporizer? 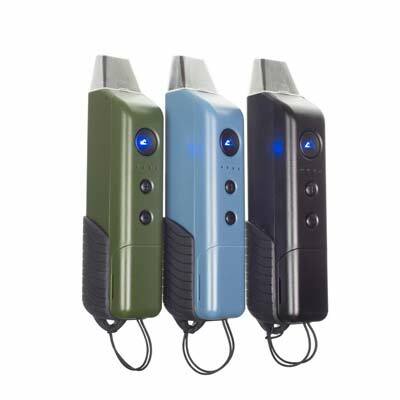 Pen Vaporizers are devices that can be used to inhale the aromatic vapor of various substances. They owe their name to their slender shape, reminiscent of a pencil. In contrast to portable vaporizers and table vaporizers, these devices are very easy to handle and particularly discreet. Nowadays different models are available on the market: in this article, we are particularly concerned with the way the dried herbs are evaporated. During evaporation, herbs and oils are heated to a certain temperature, whereby, in contrast to combustion, no carcinogenic or harmful substances are produced. But how can you find an efficient model with a good price-performance ratio in the large selection of Pen Vaporizers on the market? The editor of Ganjanauta.com has tried the best Pen Vaporizers and selected the best equipment for you. The Flower Mate Aura combines comfort and functionality. The vaporizer weighs only 104 g and is 15 cm long. The ceramic heating chamber is heated by conduction, produces a dense steam with an excellent aroma and allows long steaming. The integrated LG battery with 2600 mAh allows you to use the fully charged device for up to two hours. The vaporizer is heated in less than a minute. The vaporizer can also be used while charging with the micro-USB cable. To turn the unit on, press the Aura’s power button five times. An LCD screen and two buttons allow precise temperature adjustment between 40 ° and 230 ° C. Press and hold the power button for two seconds to activate the heating chamber. As soon as the desired temperature is reached, the steam symbol appears on the screen and the device is ready! 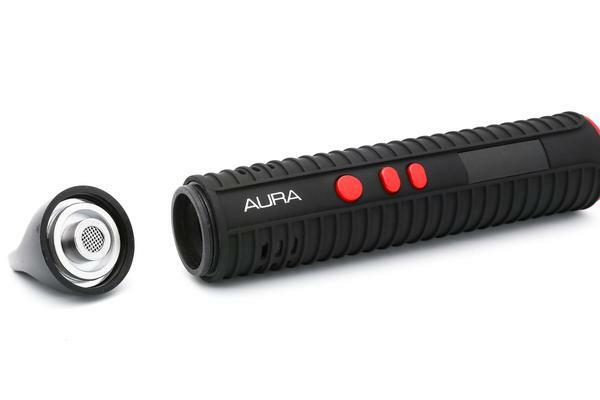 This Vaporizer comes with interchangeable tanks to evaporate dry herbs, concentrates and resins. The price of this device is affordable. Heats up in less than a minute. LG battery with 2600 mAh. Charges with a micro-USB cable. Automatically turns off after 5 minutes. The robust, discreet and easy-to-use Pen Vaporizer Storm is made of stainless steel and allows to evaporate herbs, resins and oils. Unlike other vaporizers, Storm’s airflow is separated from its other electrical components, resulting in an incredibly aromatic pure steam. The unit has a ceramic heating chamber for herbs and a stainless steel compartment for concentrates. The operation of the Storm Vaporizer is very simple, since all functions are accessed via a single button. After you turn on the power, press the button three times. The heating phase lasts approximately one minute and is indicated by a flashing LED light. When the desired temperature is reached, the light stops flashing. By holding down the key, you can choose between five temperatures: 180 ° C, 190 ° C, 200 ° C, 210 ° C and 220 ° C.
The Storm’s rechargeable battery can be exchanged just as easily as the batteries of a flashlight. It allows you to use the vaporizer for up to one hour depending on the selected temperature. To save battery power, the Vaporizer also has an automatic power-off feature, which disables the device after five minutes of non-use. Can be used with herbs and oils. 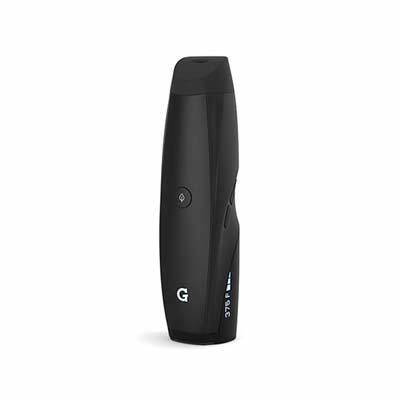 The G Pen Elite is a pen-vaporizer which is heated by convection and has an ergonomic design. The most important component of this vaporizer is its heating chamber, which is made entirely of ceramic and guarantees a complete evaporation of the herbs. The resulting steam is pure, aromatic and sweet. The great temperature control, which is visible on the LCD screen, allows the user to select arbitrary temperatures between 93 ° and 220 ° C with the two +/- buttons. In addition, the heating chamber is particularly large and holds 0.75 grams. In similar devices fit an average of only 0.50 grams. NOT suitable for oils and resins. 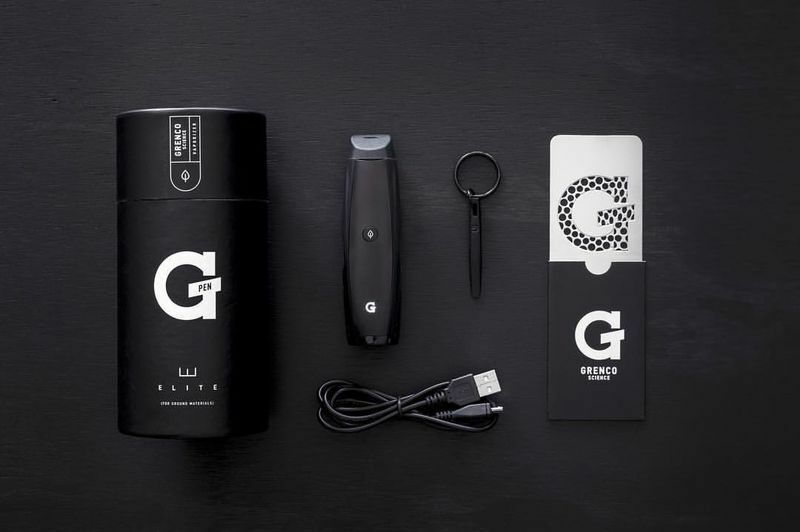 Pros: The device impressed with the G Pen Vaporizer Test with its modern, precise temperature control and its large ceramic heating chamber. Cons: The price of the device is relatively high and could discourage beginners. Moreover, the vaporizer is not suitable for oils and resins. In designing the Summit, Vapium ensured that all the characteristics of the best vaporizers were taken into account. It is a small and handy vaporizer that heats herbs by conduction. The device is not very elegant or luxurious, the materials used and the processing are however high quality. The device is designed to work in extremely cold environments, which is why the outer shell is made of polycarbonate. This also protects against bumps and high temperatures. The handle made of thermoplastic urethane is very easy to handle. The heating chamber can hold about 0.2 to 0.3 grams of ground herbs. With a full chamber, 15-20 trains are possible. The device is powered by an integrated lithium-ion battery and charged via a micro-USB connector. The Vaporizer can be recharged within 60 minutes – just as long as you can use the charged device. The vaporizer can also be used during charging. The Summit has an automatic shut-off function that disables the device after 90 seconds of non-use. By pressing the power button, the vaporizer is reactivated. The Summit communicates with the user via an LED display and vibrates when it is switched on and as soon as the desired temperature has been reached. It has 8 temperature levels and a charge indicator. In this method, the grass is placed on an element which is slowly heated, the heat being transmitted by direct contact with the warm surface. These vaporizers are the cheapest on the market, easy to use and allow fast steaming. The problem of the conduction vaporizer is that the temperature of the heating element can not be controlled, resulting in non-uniform heat distribution. Since the herbs have direct contact with the heating element, there is also the risk that they will burn instead of producing steam. During convection, the heat is distributed in the form of hot air directed to the grass. A grid separates the herbs from the heating element, which is why they can not burn. The hot air flows through the grill and heats the cannabis evenly. The temperature of such vaporizers can be precisely controlled as they are more technically advanced and more complex in design. For this reason, these devices also cost more. Since the herbs to be evaporated do not come into contact with the heating element, it can be steamed longer. To find out more about the functions of a vaporizer, please read on here.